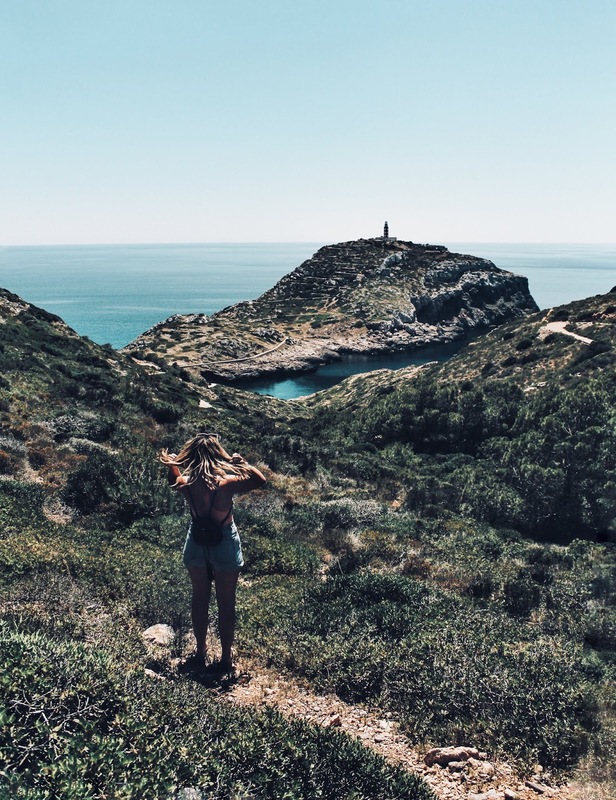 If someone said, wanna come sail the Mallorcan coast of the Mediterranean and devour an endless supply of masterly crafted food while bathing in the Spanish sun? Would you? I know, life supplies an endless amount of hard decisions. Needless to say, I spent 4 absolutely breathtaking days soaking up the sun with IN Adventures sailing along the coast of Mallorca, Spain. 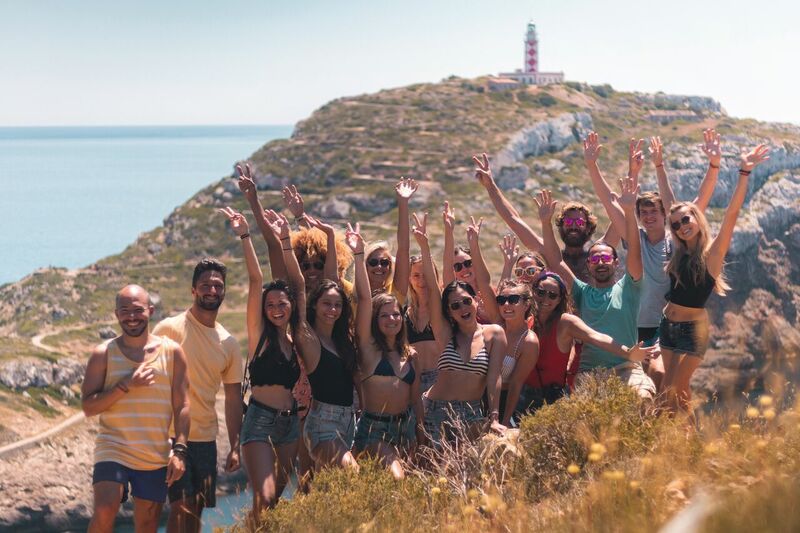 Not only did we kayak into the Spanish sunset, but we I lived my most adventurous life which involved jumping off (a-not-that-high) cliff into crystal clear turquoise waters, commando crawling into hidden caves dating back hundreds of years and repelling down large rock formations. Talk about living that work-life balance. And when I say work, I mean working on my tan. 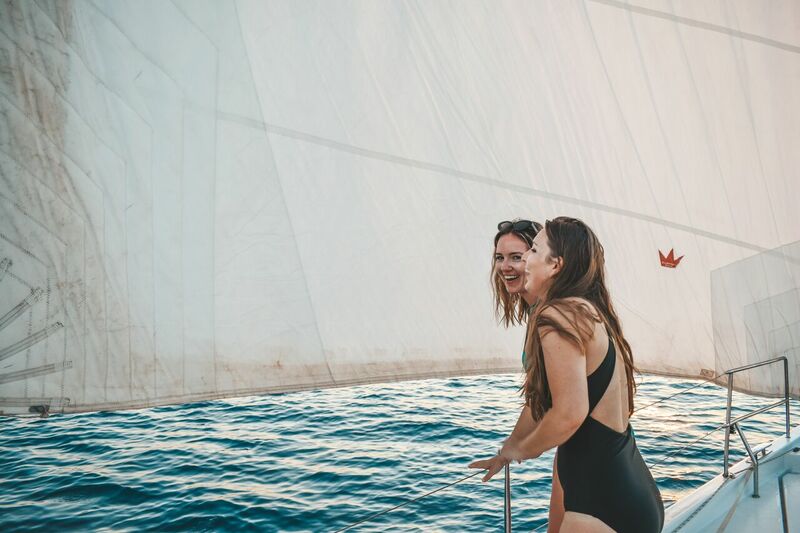 If this trip of a lifetime tickles your nautical fancy, there are only a few spots available for the September trip, so you can book your spot here for 72 hours with no commitments using this code: 'ALYSHIATURCHYN' for 5% off! Who knew I’d enjoy being rocked to sleep by the waves every evening? That has to be one of the greatest feelings out there. 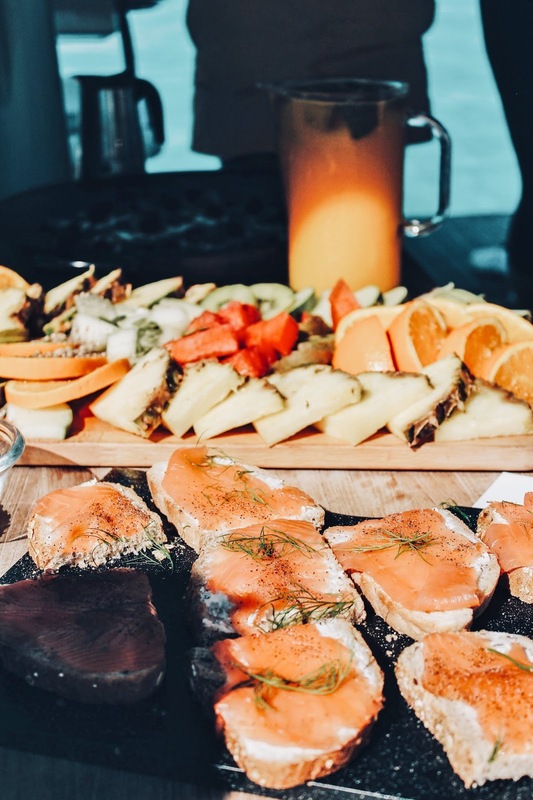 Another one of the greatest feelings has to be waking up to a different view of the sparkling waters of the Mediterranean while enjoying your avo toast every morning. I loved that there was absolutely no pressure as to when wake up was. 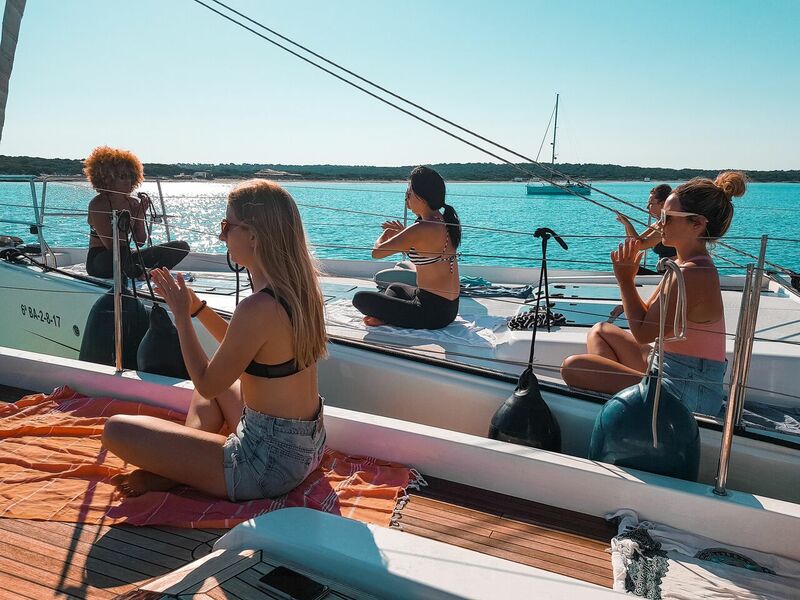 You definitely set your own pace, so whether that’s sleeping in or starting your day with an invigorating morning yoga sesh, that’s totally your call. Sometimes my version of Savasana takes place best in my bed with my eye-mask. Each day was more beautiful than the next. 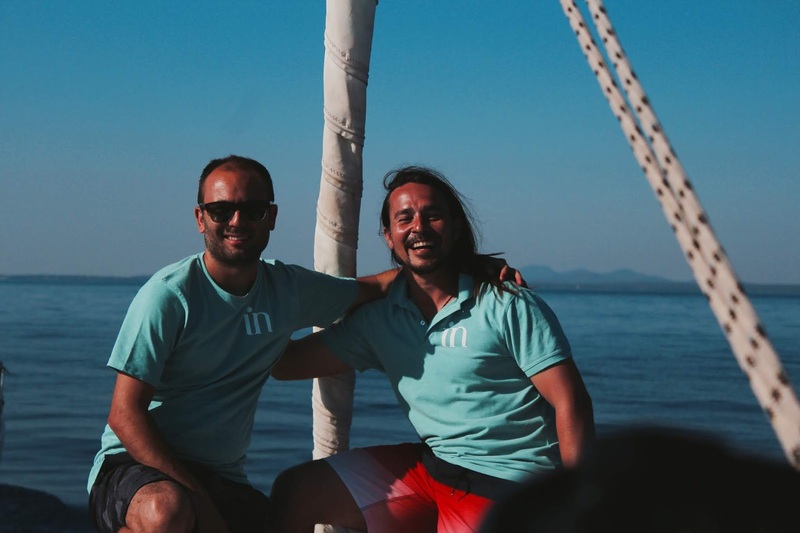 The IN Adventures team definitely made sure that I was constantly soaking up all the beauty of Mallorca and its surrounding islands. 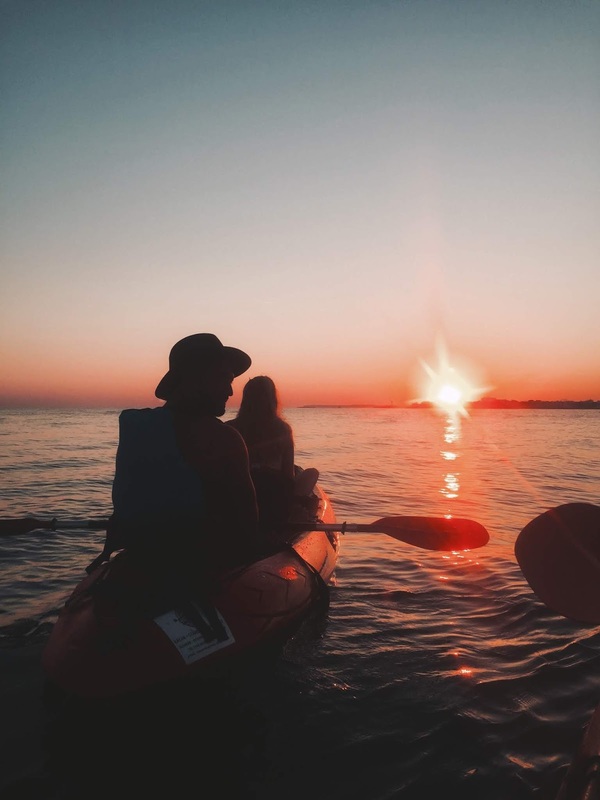 And as I said before there was no shortness of adventure; kayaking and paddle boarding, swimming and cannon balling, cliff jumping and repelling, cave diving and exploring, hiking and sailing. What. A. Rush! There was also plenty of time to enjoy every last bit of those Spanish rays. 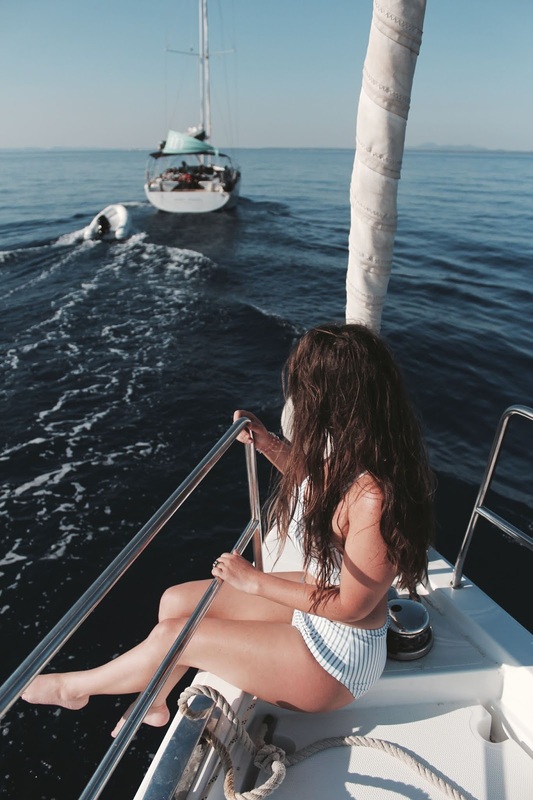 Whether that was sailing off into paradise or sizzling under the sun at the beach, all I really needed to worry about was what bikini gave me the worst tan lines. It was complete and total relaxation. Something that I find hard to achieve on 'vacation'. See IN Adventure's the full itinerary here. As you know, I am by no means a yoga person. I mean, I’ve mastered Child’s Pose, I think. And on the Richter Scale of what’s-cat-cow to severe-yogi, I’m nowhere to be found. But, that being said, when you’re placed in stunning locations surrounded by the Mediterranean it helps get you in that zen. I was definitely feeling deep ocean connections and moments of bliss, plus my back got its full range of motion back. Who knew yoga everyday would be good for you? That was sarcasm, but really for someone who has next to no experience in yoga, I felt confident that I appeared somewhat normal and even had a good time doing it! At first I was quite nervous we'd be doing yoga all day long. Initially, I expected to be doing 4 hours of downward dog before having a glass of orange juice, but I was pleasantly surprised. And yes, we did wake up to an hour's morning session and perhaps and afternoon meditation, but everything was dependent on what we felt like doing. The classes were fabulous, so naturally we had all hands on deck. All day drool. No words necessary here, the pictures explain it all. I could not believe my eye, our breakfast was being delivered by dingy to a private beach after an exhilarating morning yoga session. 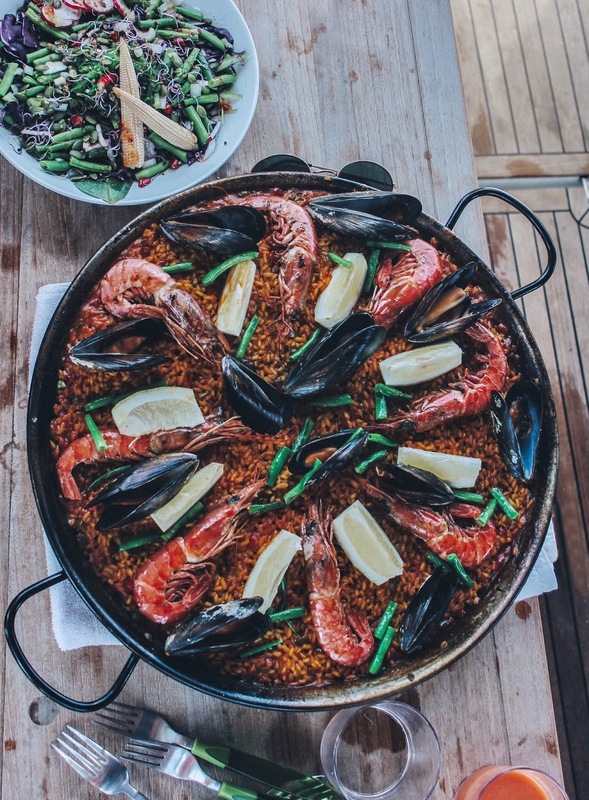 We certainly tasted the true flavours of Spain here with freshly toasted tortilla chips, guacamole and charred tomato salsa; an enormous mouth watering seafood paella; incredible ensaimadas (Spain's answer to the croissant); watermelon infused gazpacho and artistically assorted tapas for days. 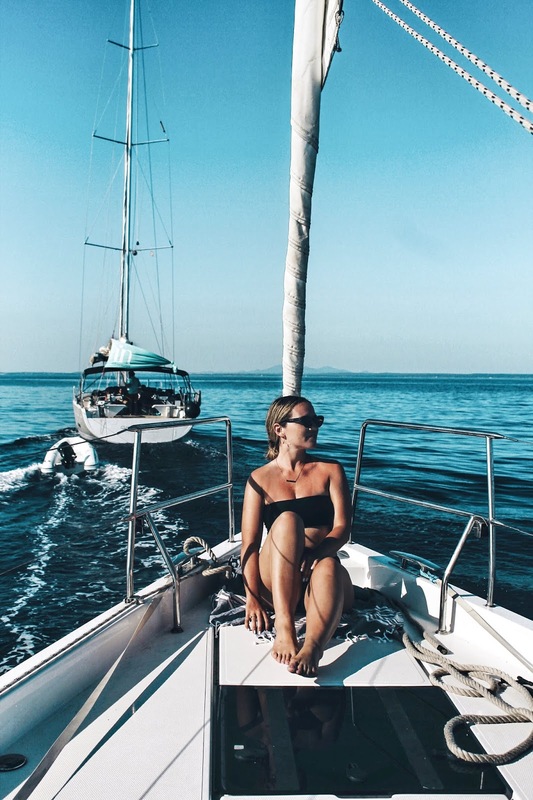 There is no better way to enjoy Mediterranean cuisine than sailing the coast of Mallorca and having these two: @cakebyytheocean and @umamimallorca aesthetically placing every ounce of food for all of your insta-worthy dreams. My phone really did eat first. 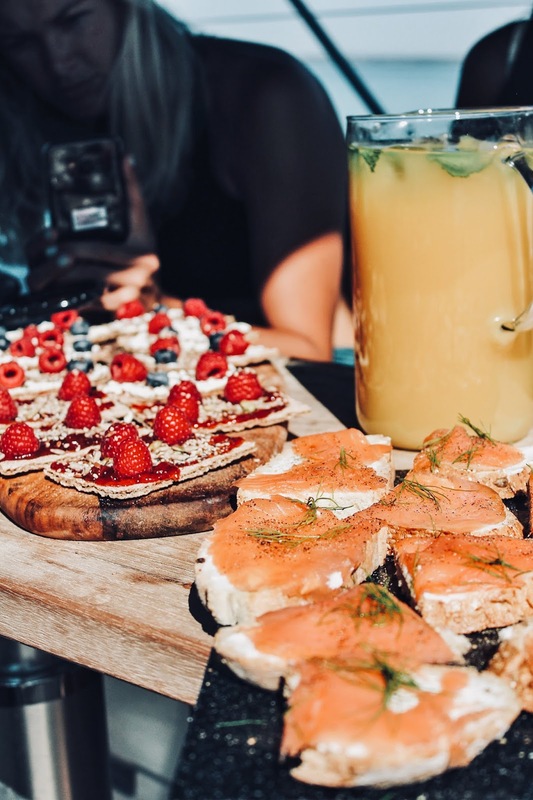 Vegetarian, vegan, gluten-free and allergy sensitive diets are all catered to individually, so no one ever goes hungry. It’s so hard for me to be healthy on holiday so it was absolutely amazing to eat a balanced, nutrient filled, organic diet while on board! My home for the last week (I'm still shook) was on the luxurious modern Hanse 575s. Fully equipped and bigger than all three of my previous apartments put together, it was glorious to say the least. Each boat housed 11 of us, so sleeping arrangement were definitely confined, but that's boat life. 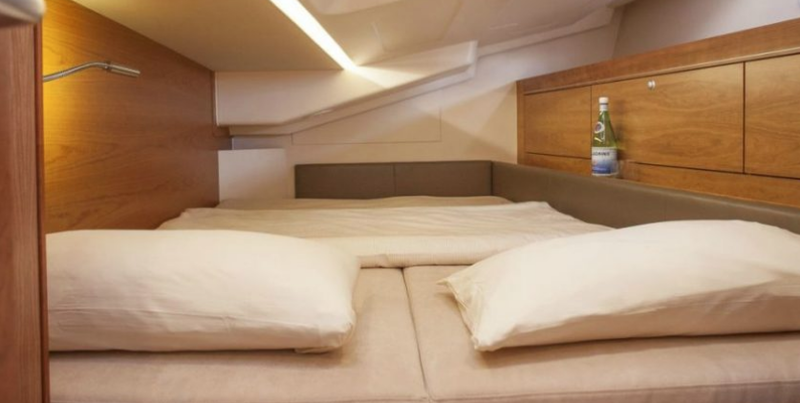 What better way to bond with someone than bunking with them! I thoroughly enjoyed it. It was absolutely hilarious trying to change with two girls, a tight space and a rocking boat. If you're worried about sharing such a small space, really the only time you spend in your designated room is to sleep and as soon as your head hits the pillow you're out like a light! Trust me. The crew. I can't even begin to express how easily we all blended together and that is in big part due to our hosts. The last thing you want is to feel uncomfortable, especially on a boat when there's no escaping in the middle of the ocean. Fortunately not the case here. I've been on my fair share of tour-guide-guided, hosts-hosting, leaders-leading, excursion, but Pau and his team really took it to the next level. Such down-to-earth, personable, real people (I could go on and on) that they made it easy to sink in, relax and enjoy their company. Warning: they make you want to stay. Wow. This holiday was exactly what I was craving. 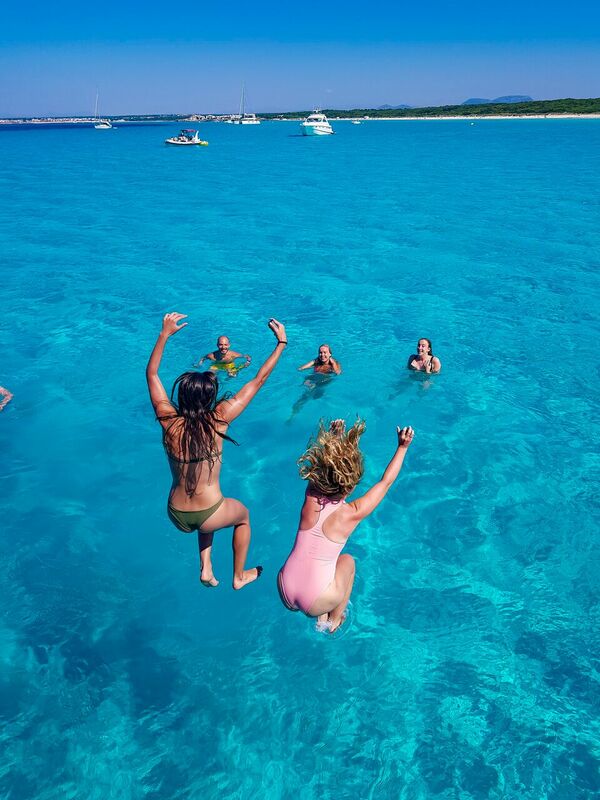 A little bit of adventure, a little bit of sun, a lot of laughs and a ton of great food. I felt so rejuvenated by the time the last day came to an end. And I really couldn’t believe how fast time had gone. It really does fly when you’re having fun eh? I must say, I am the absolute luckiest to have been on board with IN Adventures and to have met such amazing and talented people. Not only was I constantly surrounded by one of the most gorgeous places on this earth, but I couldn’t have asked to have met more amazing people. No question, I would absolutely 100000% do it all over again in a heartbeat! Cost: From €1350 enjoy 3 nights 4 days of eco-adventure. 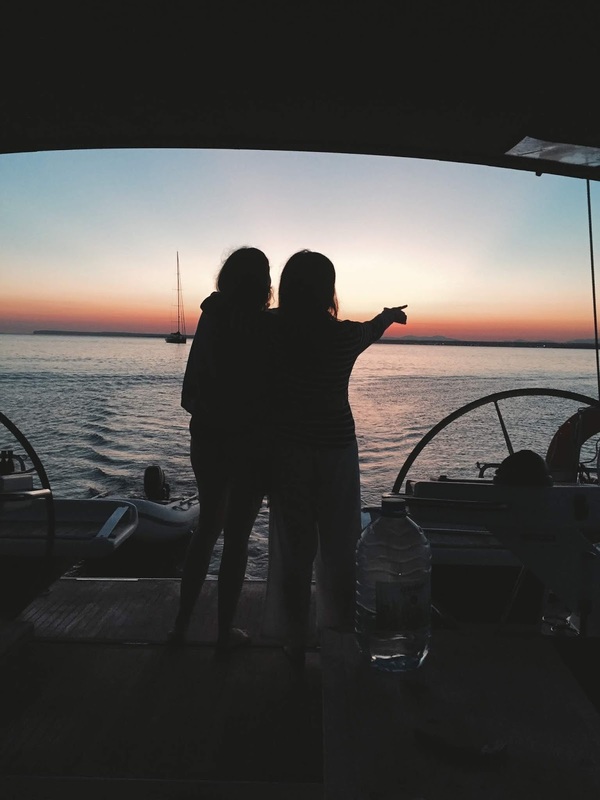 Explore the island while sailing on board a luxury sailboat. Includes all meals and drinks, activities and pick up and drop off. 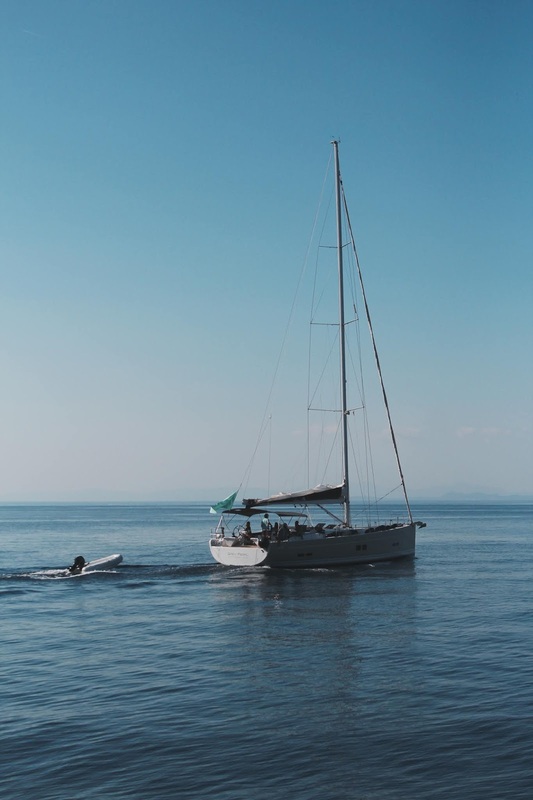 What to Bring: A soft bag to store in your cabin, flip-flops, tons of sunscreen, lots of swimsuits, active gear, a good book, hat, sunnies, waterproof cameras and bags and a power bar to charge your gear. Remember you can book your spot here for 72 hours with no commitments using this code: 'ALYSHIATURCHYN' for 5% off! If you have any questions please reach out, there's nothing more I'd love to do than help you plan your adventure!